Manila, 6 February 2019 — Leadership for Your River? Here are the results from the feedback that has flowed in so far. Last week we reminded ourselves that rivers are the lifeblood of our societies, economies, and environment, and that more #RiverLeaders are needed—urgently—to halt and reverse an alarming trend of declining river health in many countries around the world. Many of you responded to my call to answer three questions about #RiverLeaders in Your River ~ the river in the place where you live. Thanks for taking the survey and for the many helpful comments you shared in addition to marking your choices. While more results are still flowing in, many of you have expressed your interest in seeing results as soon as possible. #1 ~ Is Your River managed for sustainability in an integrated way? There is good and bad news in these answers. Unlike a decade ago, water is now recognized as one of the most serious challenges affecting sustainable development on our planet. In that context, the 30% Yes shows that we still have a lot of work ahead of us to improve how our rivers are managed. It is truly a journey. #2 ~ Who is leading the work to make Your River more resilient? Six choices were provided, and here are your answers. This is about who actually leads the work to improve how our rivers are managed. For many of your rivers, it seems that the leadership is provided from the national (or state) level. The appropriate solution for leadership will vary according to the situation and the preferences of the stakeholders. However, as a general rule, we know that leadership is often more effective when it is provided by an organization that is dedicated ‘hands on’ to the river. That could be a local government or, in many cases, one of the many forms of river basin organizations. #3 ~ What can you—or your business/organization—do to become a #RiverLeader? Is this what you expected to see, or different? With this question, we took a more personal approach to becoming a #RiverLeader by focusing on what you, and your organization can do. What is encouraging to note is that your three top-voted actions are, in fact, essential for effective leadership in rivers. We know that from lessons learned around the world. So that’s a very positive response. Since there are so many stakeholders in each river basin, leadership remains an empty concept until we take action to bring stakeholders together. It’s the first rule of leadership: show up! However, for river stakeholders to show up is by no means automatic. It needs the dedicated action by #RiverLeaders. Awareness is, of course, a foundational sine qua non for any positive change to take place. Many people still take their river for granted, and are not aware of what the challenges are to restore river health to benefit this and the future generations. So joining an awareness campaign is indeed an effective way of showing leadership. Learning from others is the third top-voted action, and one of the areas of specialty of the International RiverFoundation through its annual International Riversymposium, river twinning program, and other scientific and educational activities. And, as situations change and new challenges arise in our river basins, we need to keep learning (and unlearning) from and with others. Bringing stakeholders together, joining an awareness campaign, and learning from others are a great start for you to becoming a #RiverLeader! To be able to lead actual positive change with the stakeholders you bring together, you need to assess your leadership skills and see where they need upgrading or expanding. For now, a warm thank you for taking the mini survey! If you haven’t taken it yet, you can do it here. 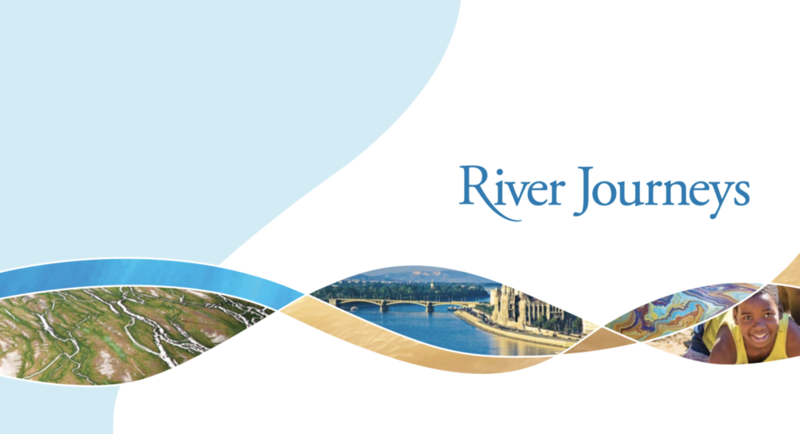 My colleagues at the International RiverFoundation and I are looking forward to exploring how we can help you to level up as a #RiverLeader for Your River.